Speaking of the sound effects in Super Mario Bros., the jumping sound is another distinctive one. How did you make that? In the real world, you might make a noise when you kick off the ground, but you don't make a “♪pyoing” sound in the air! Jumping had always made a ♪pyoing sound ever since Donkey Kong . When I was first asked to make a jumping sound, I remember saying, "Jumping doesn't make a sound!" I think I was being a pain, saying, "Do you really need a sound for jumping?" (laughs) In the end, I played the game and came up with a sound that would match what was happening on-screen. sound from Mario Bros. for when you grab coins . But why coins in the first place? We could have used fruit or something, but I thought that if fruit came out in a place where there are turtles and crabs, the players would think they were in danger and run away. When I tried to think of something that anyone would definitely want if they saw it, I knew that money was just the thing! Coins first appeared in Mario Bros. It's amazing how they have continued to be such an important item all the way up through the recent New Super Mario Bros. Wii. What do you think is the reason that things like that haven't grown old even though 25 years have passed since the birth of Super Mario Bros.? Well... maybe I shouldn't say this, but I think it's gotten old. The original one anyway. But there's a lot in the basic structure that became the original model for later games. And 25 years later, a lot of those elements are still around. Like the coins we were just discussing. I think there must be some reason that the series is still alive and well as an amusement with those older elements still present within it. First of all, I think it's because we make each Super Mario Bros. game to suit the times. Game operation is one example of something that's different each time. I worked on development of Super Mario Bros. 3 15 and Super Mario World 16 as director, and I made those games with the feeling that we should add lots of new things. 15 Super Mario Bros. 3: An action game released for the Family Computer System (Famicom) in October 1988 in Japan. 16 Super Mario World: An action game released simultaneously with the Super Famicom system in November 1990 in Japan. 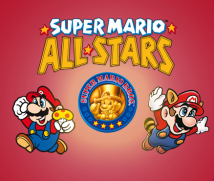 The players' expectations for what Super Mario Bros. would do next was a hurdle that you made a conscious effort to overcome. Yes. When we made New Super Mario Bros. for Nintendo DS 17, we added new elements, like the giant Mario, but we made it with a slightly different attitude than we had when working on Super Mario World. To reach that point, we had added lots of interesting ideas along the way, so I didn't think there was a need to add in all kinds of new stuff to the point where it stopped being a Super Mario Bros. game at all. Rather, we thought it would be enough if we made the kind of game that made you want to try again when you missed a jump to get past something. 17 New Super Mario Bros.: An action game released for the Nintendo DS in May 2006 in Japan. Messing up, but then thinking, "I'll try again," is something that has never changed in Super Mario Bros.
Yeah. Of course, when we were making Super Mario Bros. 3, it was important to add in lots of new elements, but I also think Super Mario Bros. has stayed popular precisely because we have preserved the original foundation. What do you think, Kondo-san? I can't analyse it very well, but the way I see it, the pleasures that human beings get in seeking fun - call them "pleasure components" - are concentrated in the Super Mario Bros. games. Even when the times change and a new instalment comes out, the visuals change and the music gets richer, but the basic fun elements of play can still be found in each game. In an earlier interview that was part of this series covering the 25th anniversary of Super Mario Bros., I heard from (Masayuki) Uemura-san18 that as part of his study of video games at the university where he teaches, he had students who had never played the original Super Mario Bros. play it. Without any explanation at all, they naturally knew how to play the game and they enjoyed it. Of course, there's a high possibility those students have played later games in the series, but people who had never played the original game when it came out were able to enjoy it - playing without any hesitation and even saying "Thank you very much!" when they were done. That may be because, as you just said, this yellow cartridge contains concentrated "pleasure components." (Editor’s note: the Japanese cartridge of Super Mario Bros. was yellow, unlike the European one.) 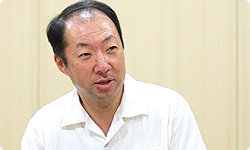 18 Masayuki Uemura: He has worked on development of game consoles such as the Famicom and Super Famicom systems. 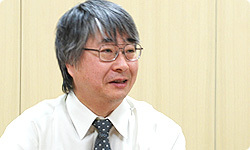 Currently, he has a seat at Nintendo as an advisor in the Research and Engineering Department, and as a professor at Ritsumeikan University he researches video games and teaches students. What do you think, Nakago-san? There are a lot of different kinds of video games, but I feel like Super Mario Bros. is its own genre, like the style of Japanese comedy known as manzai. Manzai has changed a lot with the times, but old manzai and manzai today are both funny in the same way. I feel like Super Mario Bros. has stuck around like that as its own genre. Its genre isn't side-scrolling action, but rather Super Mario Bros. constitutes its own genre? Right. Otherwise, it would get old. That's why I think it's still alive and well. 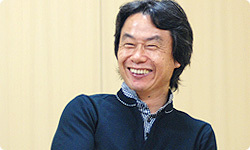 What do you think, Miyamoto-san? Like Nakago-san just said, I think we had the good fortune to discover a genre that hadn't existed before - not just side-scrolling action games, but like shooting games, something that possesses basic forms of play. So no matter how many series we make, the people who play it say things like "Falling down a hole is the most fun!" No matter how gorgeous we make a game, that's what it's all about! (laughs) It's like we're remaking the series each time just so people can enjoy falling in holes! And to pick up on what Tezuka-san said, as we build up the series, the almost obsessive idea arises that if we don't add new elements, fans of the previous games won't be satisfied. 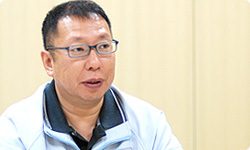 That's why Tezuka-san, in developing the Super Mario Bros. series from Super Mario Bros. 3 to Super Mario World, started making things like minigames such as roulette. At that time, roulette was the best way to show the Super Famicom's high functionality, but there was a time when I put a ban on minigames. Yeah. I said we should stop relying on minigames. I kept saying that rather than make games fun by putting in lots of minigames, we should make the main thread of the game more interesting. But if we hadn't put in any minigames when we did, the series might have ended there. Perhaps the series still exists today because there was once a time when we floundered around a bit. I think it's good that we put in lots of new things back then. That's right. New Super Mario Bros. Wii hardly has any minigames, though. When I look back now, I even think it might have been all right to take out all the minigames, like the cannon one. You could just have challenged yourselves with regard to the main game. Right. It's been a while since that happened. I think the new four-player mode is fun, so with New Super Mario Bros. Wii, I'm satisfied that we were able to reinforce the Super Mario Bros. genre as a basic starting point for video games. From now on, the three of us will be like a preservation society. Yeah. (laughs) I think there's a lot left for the Super Mario Preservation Society to do!